Medical Laboratory Technology specially concerned with the diagnosis, treatment and prevention through the use of pathological tests. As vital member of the health care team, Lab Technicians play a critical role in collecting the information needed to provide the best care to patient. It is nearly impossible to practice modern medicine systems without laboratory. 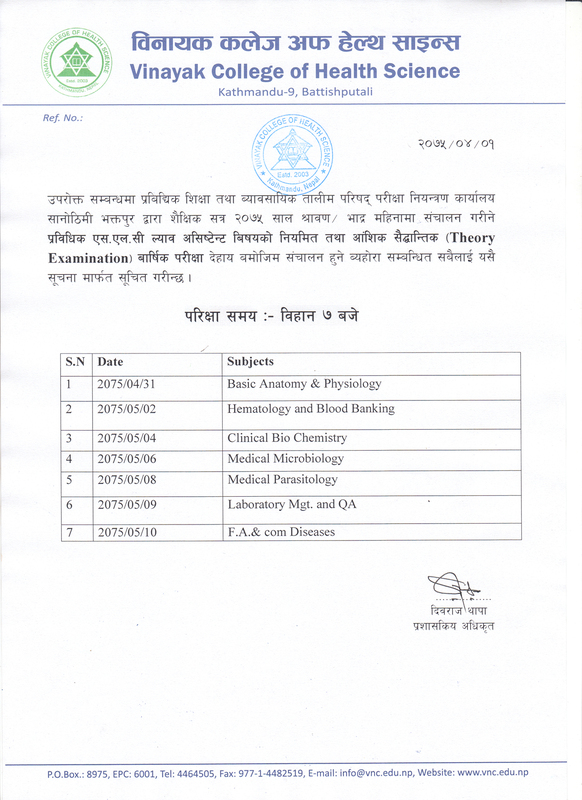 Registration in Nepal Health Professional Council as a LAB TECHNICIAN. Job opportunities in public hospitals and research laboratories. Self employment through private practice. 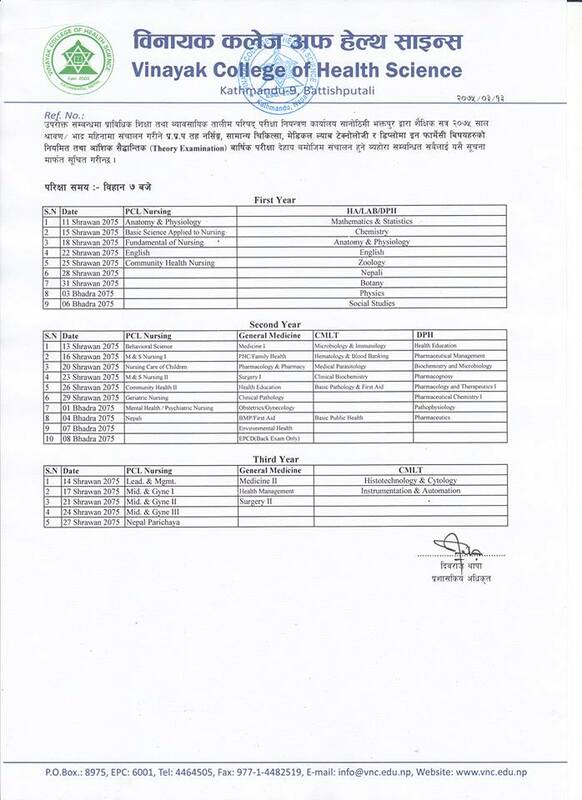 Successful Candidate in merit list of written entrance examination conducted by CTEVT. 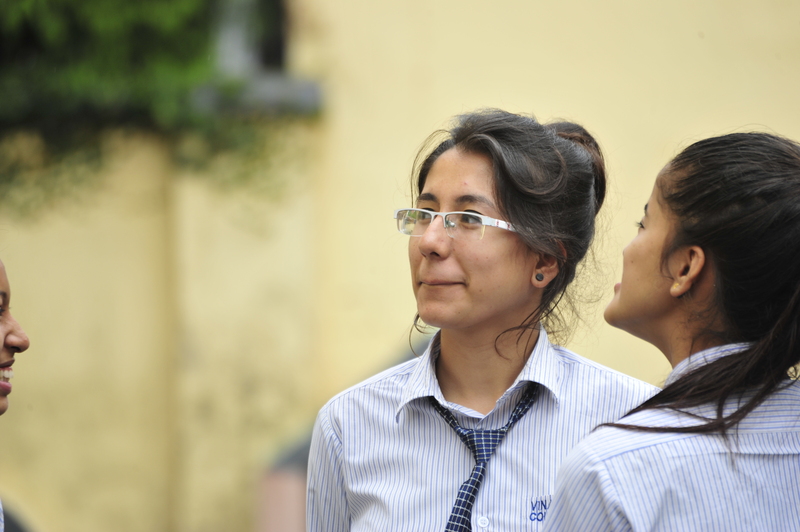 Scholarships are available as per the criteria of CTEVT.